Day 316: Newcomer Larb Ubol. Larb Ubol is the newest addition to the plethora of Thai restaurants on 9th Avenue and is standing out with its Isan style of Thai cuisine. 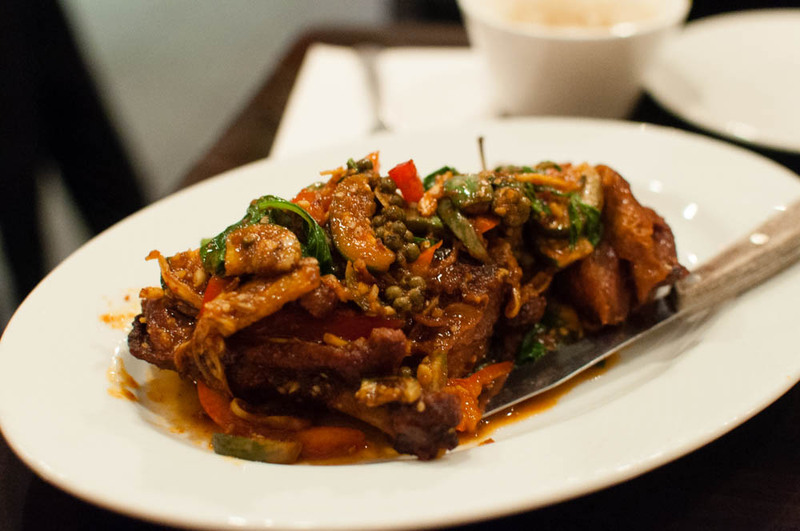 The reasonably priced and generously portioned duck pad ped is just one of many reasons to stop by for a bite to eat on a chilly night. Day 317: Num Pang’s Soup and Grilled Vegetables. 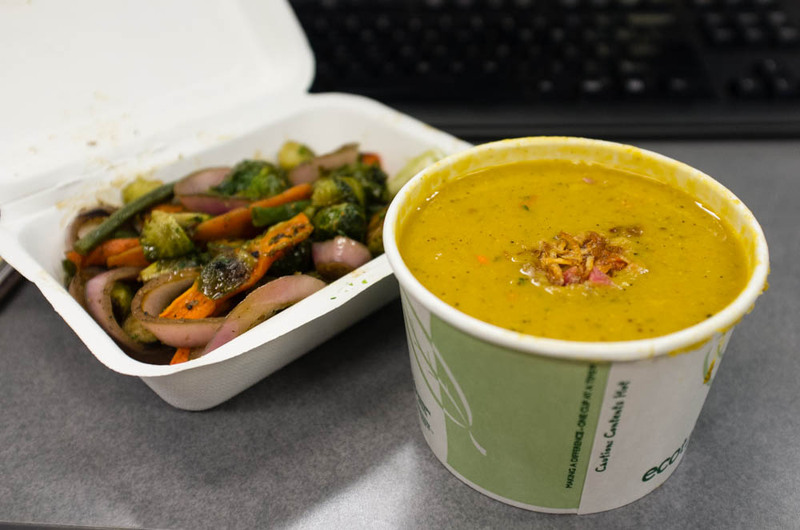 Even though today was officially national sandwich day, I couldn’t resist a bowl of Num Pang’s red curry lentil soup and a platter of their grilled vegetables spiked with lemongrass. I adored the thick creamy soup that warmed me through and through on one of the chilliest days. Day 318: Ichimura’s Sashimi Plate. This was one of the best little plate of sashimi I have had in a long time. The variety blew me away. 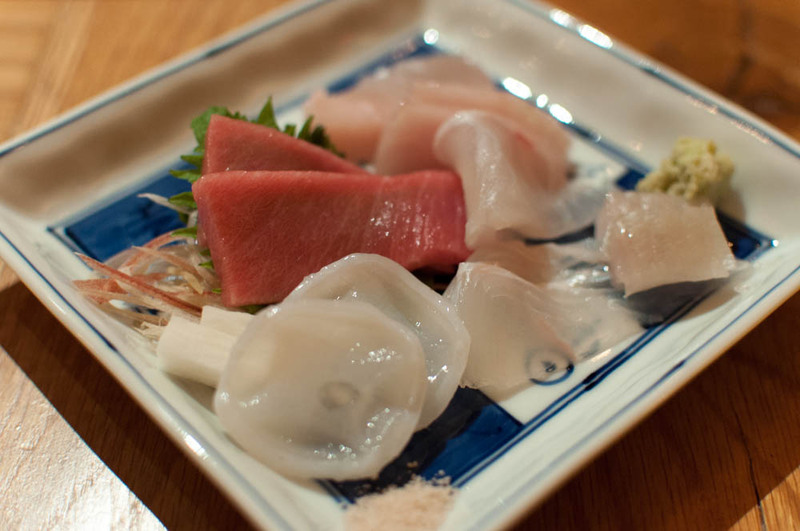 Who knew that giant octopus could be so tender and that fluke fin would be so flavorful and that otoro could be so buttery?